Do you like Puzzles, for which you need to use a lot of logic to solve them? If so, you will enjoy “Mathemechanic” by “Buckrider Studio” very much. 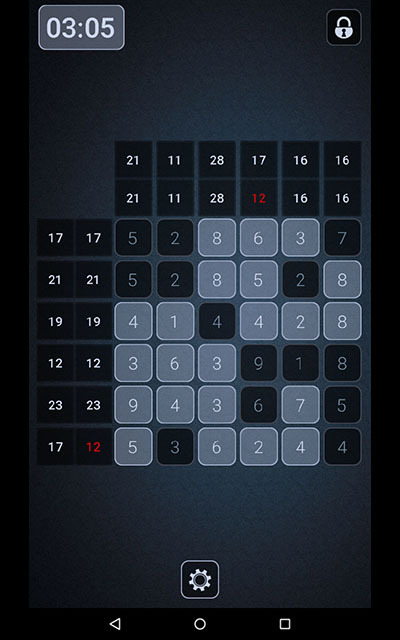 In this challenging game, you have to choose numbers from each column and each row to match the demanded sum. Only one combination can be the solution for the board though. If you want to learn more about this logic puzzle, keep on reading. “Mathemechanic” reminds me a bit of the Japanese game called “Sudoku”, since you have to use certain numbers for each row and column to add up in the end. Nevertheless, it is a completely different game. First of all, you are not stuck with the numbers 1-9. Instead, you can choose from different versions, such as board sizes from 5×5 to 9×9 and number ranges from 1-4, 1,9, 5-15 to 11-19. You might never run out of a challenge like this. Besides the possibility of customizing the board, I also enjoy the simple yet chic design. I like the dark grey and it also doesn’t distract you from thinking about number combinations. If you get distracted or lose your string of thought, the game offers you the option to take a break and try to solve it later. Unfortunately, it took me much longer than hoped to figure out the gameplay. Even though there are instructions, I didn’t understand them at first. Therefore I would prefer them to be clearer. Another option would be a walkthrough as a video or while playing so you can learn it by doing. That would be less confusing in my opinion. I was also wishing there was an option to peek if your set combinations are right. This would be beneficial for beginners like me to let them enjoy the game as well until they got the knack of the strategy. Even though the design is very clear and not distracting, a little more background music would be nice in my opinion. I agree that it should not be the main focus but it would add some charm to the game. 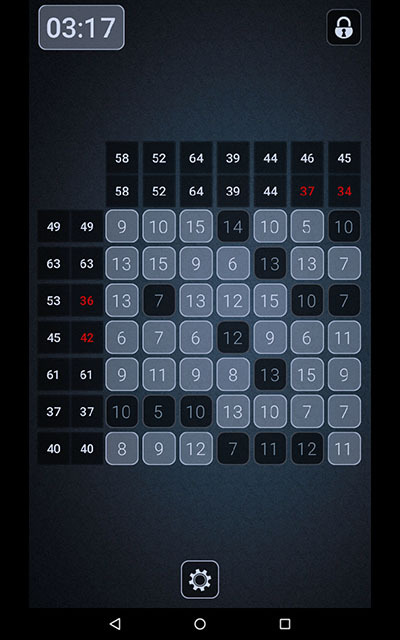 “Mathemechanic” is a highly difficult strategy puzzle, in which you can train your brain a bit. If you would like to find the correct number combinations, download it here.